Archangelos (Arhangelos) The village Archangelos (Arhangelos) is regarded very faithful to traditions. The centre of the village is dominated by the church of the Archangel Michael, with its fine campanile dating from 1845. Follow the sign for the main beach and you will find yourself at the left-hand end, while if you go straight down below the Acropolis of Lindos, down Pallas str., you will find yourself at the right hand end on the beach known as Pallas Beach. You will find sun beds and umbrellas everywhere, along with small classy tavernas offerenig delicious mezedes and fish plates. Yachts and small excursion boats find schelter in the well proected bay, adding to the atmosphere of the location, especially as dusk settles. Pallas Beach is relatively quieter than the main beach. Also, the waters on both beaches are shallow and ideal for young children and toddlers. Kanoes are available for rent here. My wife cried. We've been back every year since and are already booked for next year !!! we have been going to lindos for holidays 28 yrs mostlly in sept. We love it. Its our second home. We got married there 19yrs ago. We have so many friends there People are so friendly. Yes they remember you and make tou feel so welcome. Its a fanstastic place. The sun shines from dawn to dusk. We will be there this sept counting the weeks. Lindos is the best. All my family loves it. try it ! I am going to Lindos for the fourteenth time on Saturday and cannot wait. We see the same locals running the bars and restaurants every year and they are the friendliest people you could ever wish to meet. The bars are great, The Rock Bar, The Museum Bar and the restaurants are very special most of them being terrace restaurants overlooking the village. There are no cars in the village and its little winding cobbled streets are beautiful. St Paulis bay and the main beaches are great all in all a fantastic holiday every time we go. Everyone you meet in Lindos has been there many times before and we will never stop visiting. Finished the novel, Seven Tears For Apollo, by Phyllis A. Whitney, only about 3 hours ago. The setting is on the Isle of Rhodes, with visits to other islands, Lindos being one. In a short statement in the front of the book the author writes that (this is a paraphrase) no matter how she tried she could not describe the enchantment of Rhodes. It was a wonderful book. I recommend it. If I can't make the journey there in person. This book was a nice way to visit! Thanks to the wonderful (late) author, Phyllis A. Whitney for that! I love Lindos sooo much! going again this year and i'm counting down the days. It is our second visit and I am going with my parents and my 3 younger siblings. 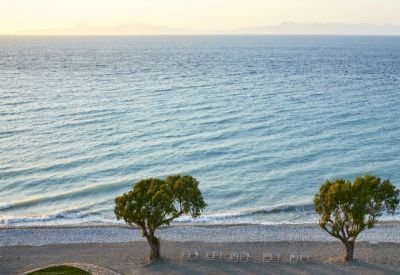 I love walking down to the town in the morning, buying some orange juice, standing at the sides of the paths and watching the donkeys galloping by, walking down the hill to the beach and finally diving into the cool, gentle, shallow sea. I can picture it in my head right now as I do everyday... Lindos is the most beautiful part of Greece by far! visit now! or you'll be missing out! We got married at St Pauls Chapel on St Pauls Bay. The most beautiful, romantic place on earth!! All the locals congratulated us and we had cheers from all sun-worshippers on the beach. Fabulous, going back again this year!!! Our wedding planner Karen from Lindos Weddings is the most amazing and wonderful lady and her team are 100% supportive. Everyone should go and visit this beautiful place. We have been going to Lindos for the last 11 yrs, it is the most beautiful place on earth. If there is a liitle heaven on earth then this is it. We have met some of the most special people there who will be friends for life especially Tsamis @ Georgios Bar and Demitri in the supermarket. I cant wait to stay in Lindos, it sounds perfect to our needs, my husband an I drifted for a while an now falling in love again and 26yrs married! 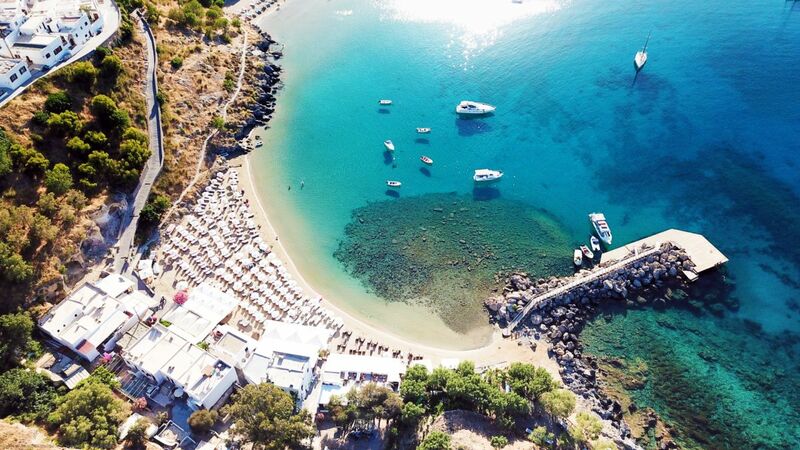 So cant be bad an sounds so romantic after reading all these lovely comments I feel like a kid at Christmas just counting the days till sept 9th, Lindos here we come. When landing on Rhodes for the first time more than 25yrs ago we didn't have any accommodation booked. We asked the taxi driver to take us to the nicest place on the Island. He took us to Lindos - and we were not disapointed! I have never been disapointed on any of my many return trips back either. But most of all - from that first trip all those years ago - it stole my heart and my soul - I weep both when I arrive and everytime I leave - its is my spiritual home - my heart lives there and I feel whole when I am there. I want my remains scattered there when I pass from this world morbid tho it sounds - but I can remain there forever then and maybe you will hear my laughter in the soft evening breeze in years to come. My Daughter and I will be traveling on the 12 August 09, I have choose Lindos due to the beautiful comments on past and present visits to this Island. I feel that this will be a magical trip for us both my daughter Jas and I will be staying in a self catering as we don't want to be tired to any one place and explore this wonderful Island. Perhaps I'm still a young girl at heart and am expecting the knights of the castle to come and rescue me that why I choose this place because of its history and the stories of the Islands welcoming hospitality of local folk. I will be taking my drawing pad to sketch and may be paint the beautiful colours of this Golden Island and crystal blue waters. So do place come and say hello if you see me drawing and a warm smile forthcoming. Will write soon and tell you of my magical trip! First time to Rhodos. Stayed in 5* (Greek 5*) initially disappointed but once problems sorted, every thing was fine & had a fantastic time. 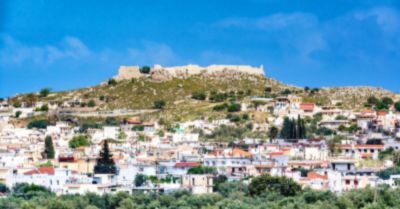 Rhodos is a great island with so much to see & do. Probably going back next year. Met one or 2 rude people but was not goint to let that spoil a great holiday. I've been visiting Lindos since 1985 its stunning and the friends we have made there will be friends forever ! I have been going to lindos now 4 many years with my husdand and like so many people have said it is like comeing home I still get butterflys every time I look down on to the beautiful bay if you have not been to lindos you truely are missing out the place is just stunning the people make you feel like family book now you will not regret it. So far i have been to Lindos on a stag week, a family holiday and a holiday with my missis and everytime i was made to feel welcome, had a awesome time and came home with a tan. The weathers good, the people are brilliant and there is loads to do if you want it. I should act as a travel agent for the place cos I have convinced so many of my friends to try it! you wont be disapointed. My husband Jim and I started going to Lindos 11 years ago, we like so many others fell in love with it. We called it our haven we returned year after year it always felt as if we were going home not on holiday. Sadly my husband died last year but his wishes were to have his ashes scattered under the warm Lindos sunshine. His wishes were granted this year and he has a beautiful resting place. He is probably sipping a cold amstel right now watching the sun go down. One day I will join him but until that day I am left with so many wonderful memories of dancing in the Courtyard bar watching the flames in the sixties bar, candle lit dinners in Stephanies and long lunches with a few ouzos in the Mythos overlooking the bay, lazing on the pallas beach, wonderful times & wonderful memories how lucky we were! We have gone to lindos for last five years and love it more everytime. After visiting several other greek islands that was lovely in their own way lindos is so unique. Lovely beaches and good resturants and some great bars the people are so friendly. Views from the acropolis are stunning we will be comeing back for many years to come. Rhodes old town is worth a visit. went to lindos 5 years ago and got married at St Pauls bay, going back in august to celebrate our 5th anniversary and cant wait, beautiful place , beautiful people and beautiful weather, and if any one is thinking of getting married here then do it as it was fantastic! The first time I went to Lindos was about 25 years ago, then consequently went 7 years running after that. Haven't been since but planning to go back in 2 weeks - can't wait. Do go, it's one of the most beautifull places in Greek Isles. Going back to Lindos in august. This will be our third year in a row. We have fell in love with Lindos and the locals are like family, they are so friendly and remember you when we go back. I would say to anyone wanting a lovely holiday go to Lindos. You won't regret it. I have been visiting lindos for over 30 years and every time I see the villiage from the main road I feel that I am home. Not much has changed over the years except more sun shades on the beach and the constant change of bars and resurants. The sun always shines and the sea always clear and the village offers something for all tastes. I have a good friend in the villiage who I have known for nearly 30 years and who always makes me and my family welcome. So if you want a relaxing stress free holiday with plenty of sun good food and good bars (you must visit bar 60's). Lindos is for you. Anyone who has been to Lindos can only give it one description... MAGICAL!!! Going back for the 4th time just cannot get enough of the place. Me and my Kids stay in Vlicha (the Yota) and the sunrise over the Aegean you cannot compare it with anywhere else. I've done the Carribean and the Indian Ocean, Put it this way, as beautiful as these places are, they dont have the lure of Lindos as I've never revisited them. 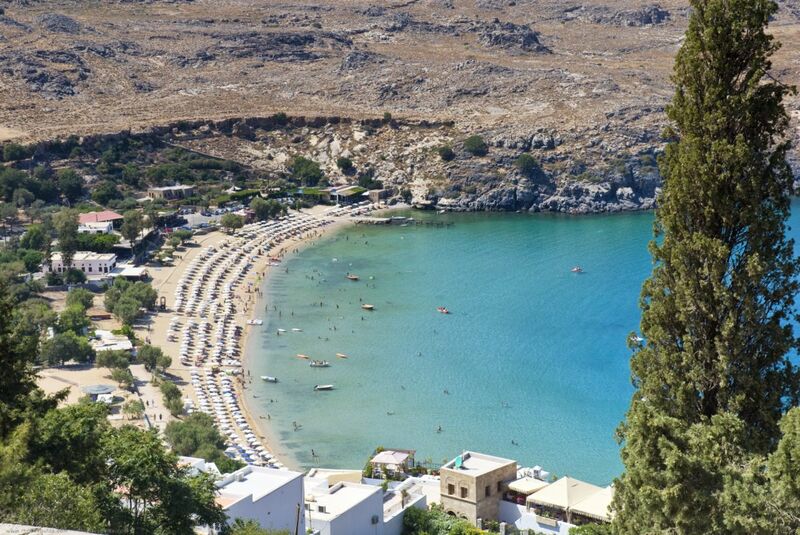 So If you are still unsure of booking for Lindos, you really are missing out!!! Lindos well I have been going for the past 7 years, sometimes twice a year. It is heaven on earth, so lovely my daughter and I have been on a couple trips and I am going this year in July with my eldest daughter. My husband came last year and like me he fell in love with Lindos. Lindos is the most magical place i have ever been to in Greece. I have been to many places in Greece but i have to say that Lindos was the most beautiful place I have stayed in. Although busy in the day at night Lindos comes alive. I can recommend Lindos to anyone who is thinking of going. If you don't go you will regret it. So go and enjoy the beauty of Lindos. Best place ever! I absolutely love it, those who know,know! it has something you cannot describe! A place not to be missed, wonderful small alleys, small shops some very classy, some selling holiday nick knacks. Great bars and restaurants delivering traditional as well european food. Not for people who can't deal with hill walks as beach is a fair walk especially Pallas beach, although you can take the donkey ride which are really the only hasard you find when walking the small alleys that you can't get a mini down. Accomodation can vary and is generally basic although try some of the very good villas that can be found if travelling with a larger party. Beware of accomodation that says Lindos but either sits you at the very top of the village with a 5 minute walk down and a 15 minute walk back, also a couple of very good hotels but these are taxi rides away. Can't complain with the people, you treat them right and you won't get friendly people who will offer you a long term friendship. Been going since 1981 and still think it is one of the best Greek resorts I've visited. Having been going to Lindos since I was 12 in 1979 (which makes me oohh 21 now !!!) I can only say that it is a fantastic place. The locals never fail to make you feel welcome and can never do enough for you. As there are no cars allowed in the village it is great for kids and the beaches are lovely with lots of shallows for the children to play in. My daughter now wants to live there!! GO - have a holiday to remember, you won't regret it !!!! Lindos is the best place ever the beaches are lovely and the peole are as well. I went there last year to my aunties wedding it was wonderful. The church is right near the sea and it only takes a fw minutes to get married. The restaurants are brill visit the 60's bar and the best place ceasers. we went to lindos this year 2005 july ,it was our first holiday abroad and lindos was amazing,the views from the top of the acropolis was stunning. The greek people are so lovely and friendly. There are some lovely resturants and cafes in lindos.we are going back there next year we loved it that much. I would recommened lindos to everyone. Brilliant. We went to Lindos for the first time this year and am almost certain that it was Steve who was our neighbor on the sunbeds!! It is absolutely the most wonderful place on earth!! We can't wait to get our husbands to let us go on another girls holiday to Lindos! a place that everybody must visit. very picturesque good weather, very friendly and good restaurants and bars. we will be going back! Picturesque,friendly & plenty of choice for everything you need. The village itself & surrounding areas & resorts are an absolute 'must see' & the weather was unbeatable. Can't wait to come back! Been to Lindos and the photos on the site do not do it justice... I return every 2 years it is that beautiful. This is one of the highly organized beaches on Rhodes, and many hotels are located in this area. 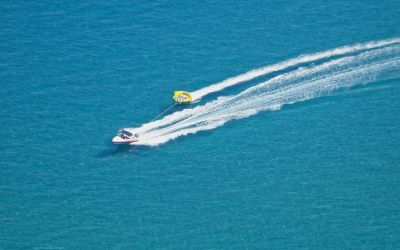 Like Ixia, it is partly pebbly, and very popular to windsurfers as it is mostly windy and wavy as well.